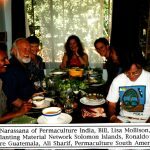 We drew a lot of our inspiration from our friendship with Bill Mollison from 1979 and practising hands-on Permaculture with him in both his and our gardens. 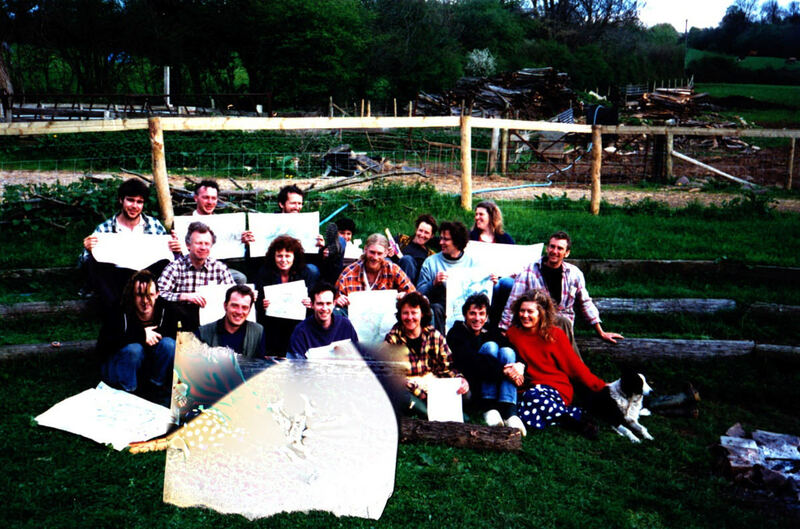 It was Bill who encouraged us to launch a national seed saving network. 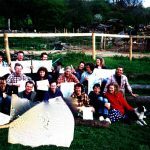 Here is a photoessay on our Permaculture roots and the shoots and seeds produced. 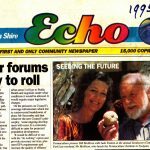 In 1977 Michel Fanton, the future co-founder of Seed Savers, established mixed gardens he called “Mimosa” on two acres of steep and degraded cow paddocks in northern New South Wales, Australia. 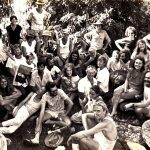 Michel had been inspired by the rich home gardens and peasant cultures of his homeland France, as well as the places he had visited and where he had lived for much of the 1960s and 1970s:- French Polynesia, New Caledonia, Eastern Europe, the Middle East and South East Asia. 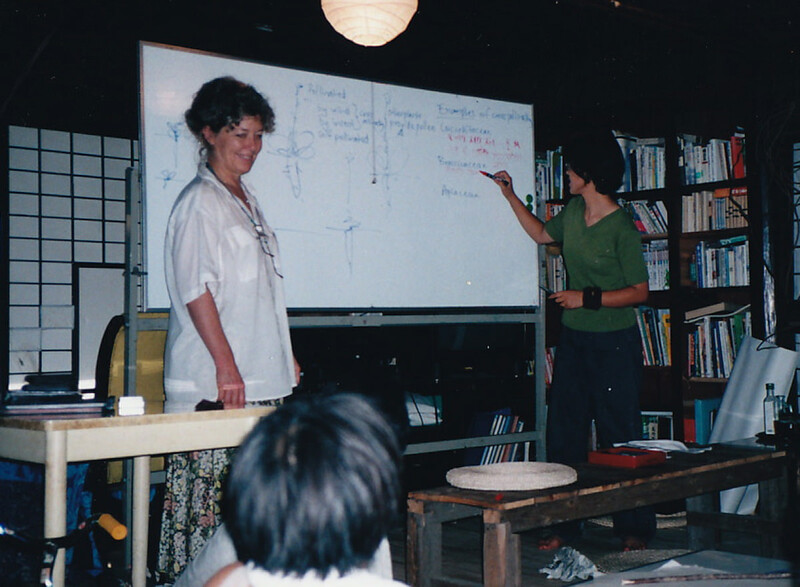 Fukuoka’s “One Straw Revolution” supplied the strategies of using nurse trees, or pioneers and succession planting in the establishment of his orchard in 1977. These threads came together with the first plantings of a multitude of leguminous trees and shrubs. Interestingly enough, a preponderance of these were Acacia dealbata subspecies Mollisima (though Fukuoka had dubbed it “Morishima”). 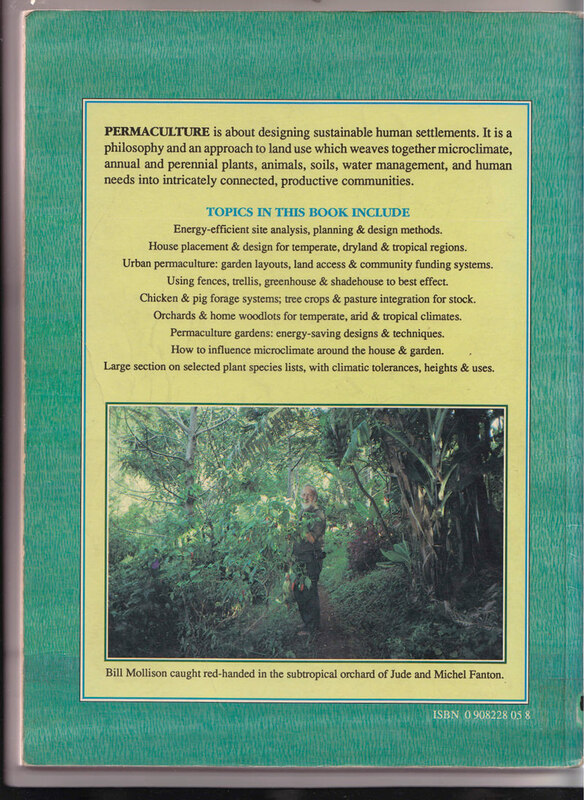 Michel realised that he was on the way to practising Permaculture principles when he read “Permaculture One”. 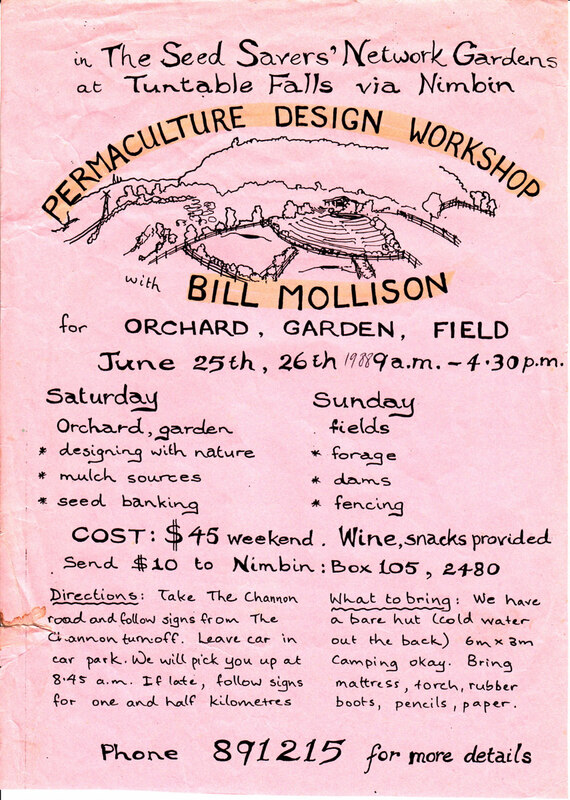 He attended a talk by Bill Mollison in Bellingen, New South Wales, Australia in 1979 and invited Bill to visit his experimental gardens. Bill liked what he saw and returned many times to “Mimosa” over the following twelve years. 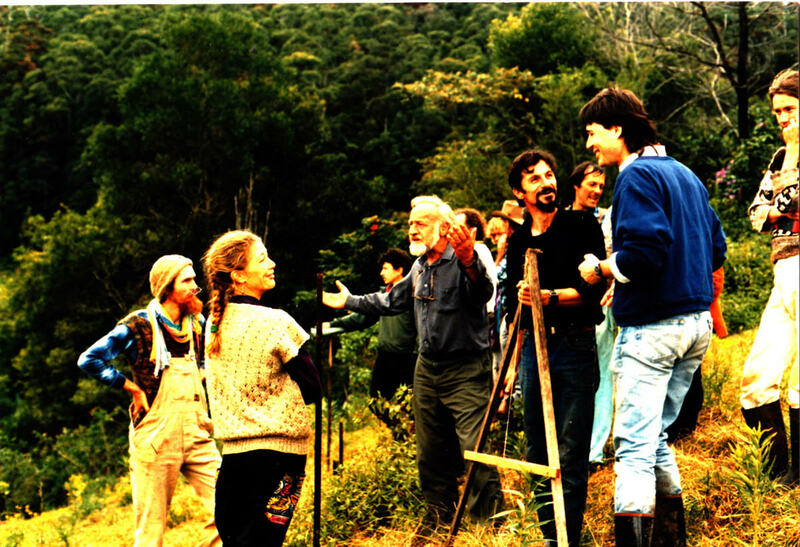 Convinced by the logic of Permaculture and Bill’s charismatic personality, Michel thickened his perennial plantings and became a vocal Permaculture advocate, distributing hundreds of copies of “Permaculture One” and “Permaculture Two”. 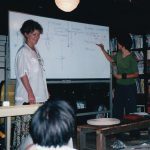 In 1981 Michel was joined by Jude who had had eleven years’ experience of teaching social sciences, history and literature in South Australia where she was born. 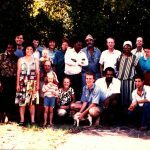 They harvested seeds wherever they went, propagated fruit and leguminous trees and shrubs, extended the intensive home gardens by another acre and significantly increased Mimosa’s diversity. 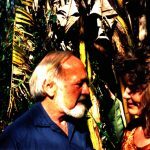 In the 1980s Michel and Jude opened up their subtropical Permaculture gardens to television crews and multitudes of interested visitors. 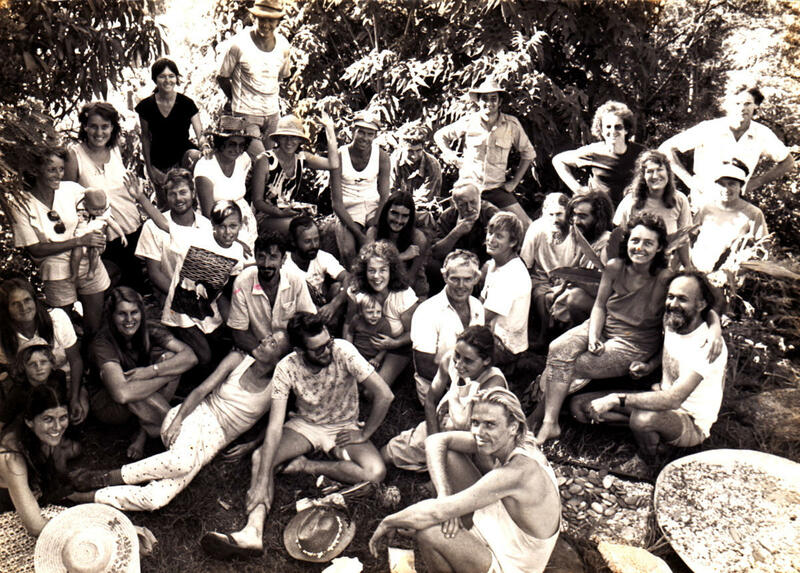 When Bill Mollison moved from Tasmania around 1984 to nearby Tyalgum on the NSW/Queensland border, he frequently visited the Fanton family and gardens, recounting into the night permaculturesque tales from his most recent travels. 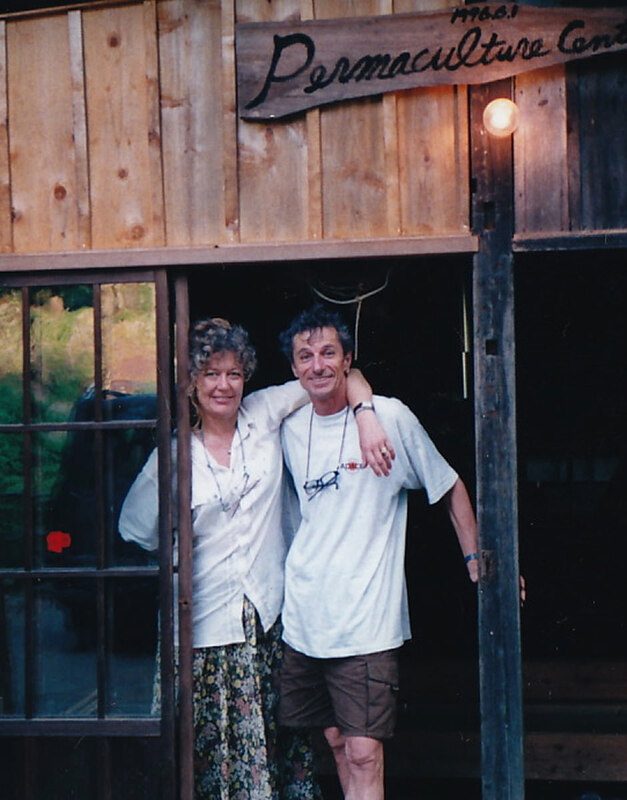 The three Fanton children had the huge privilege of his fascinating company and stories. 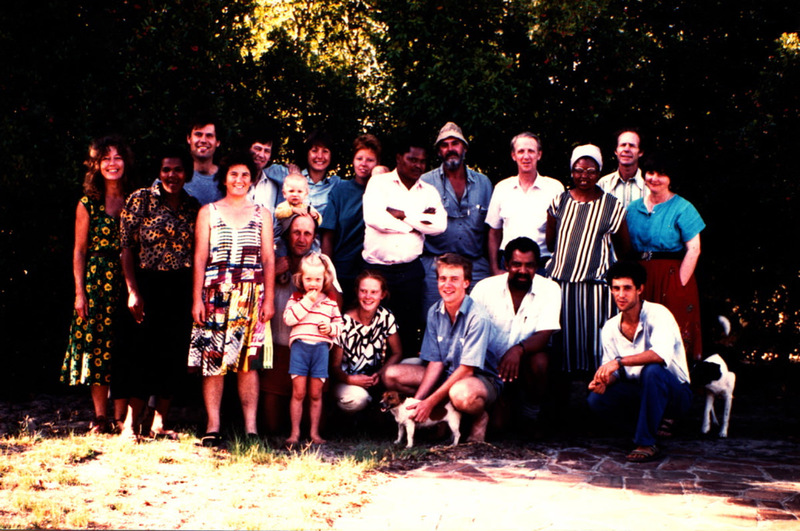 The Fantons learned-by-doing with Bill, working in either his or their gardens together, exchanging cuttings, rare tubers, runners, bulk seeds, stories from indigenous (agri)cultures and food. 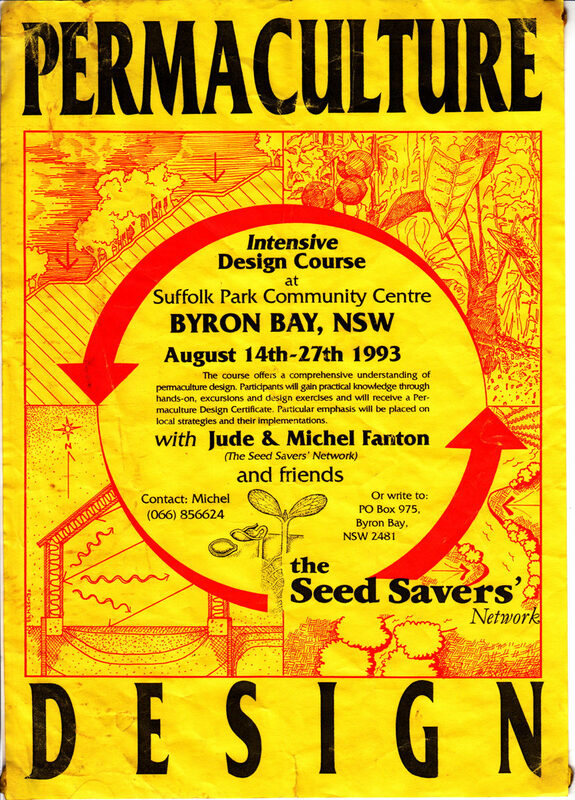 Seed Savers was conceived during this time and formally commenced in March, 1986. 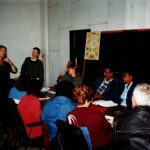 Workshop co-taught with Bill at “Mimosa” in 1988. Bill is right of centre in a pensive mood. 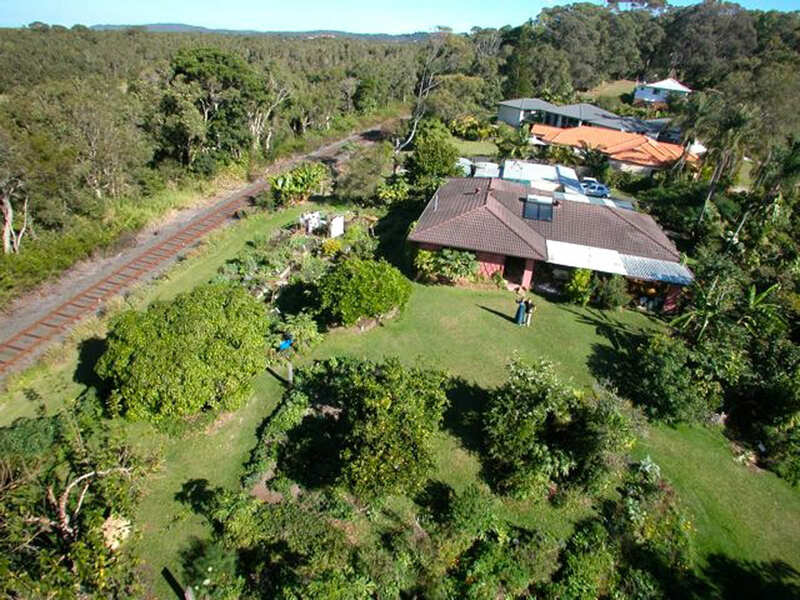 Michel and Jude maintained “Mimosa” gardens with no power tools, that is in a Majority World fashion with sickles and a scythe until 1991 when they moved to Byron Bay, the most easterly point of Australia. 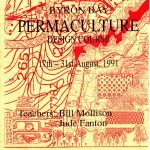 Early 1998 they established a second Permaculture garden on one acre of nearly empty rolling lawns on the south side of town. 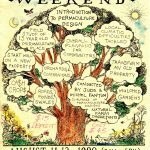 Within six years they had planted one thousand species – recorded on an extensive database – of useful perennial plants and hosted thousands of visitors. 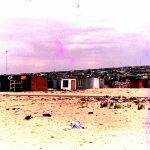 Open Days attracted 2000 people. 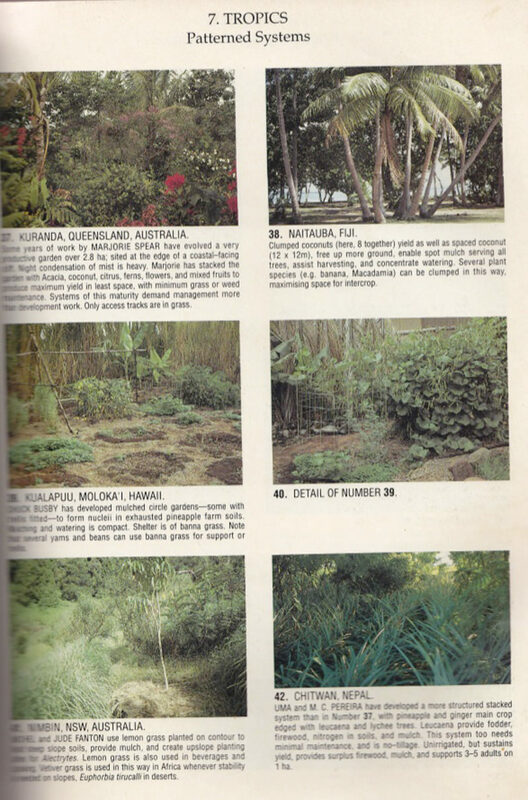 Television programmes, such as Gardening Australia in 2005, featured the gardens. 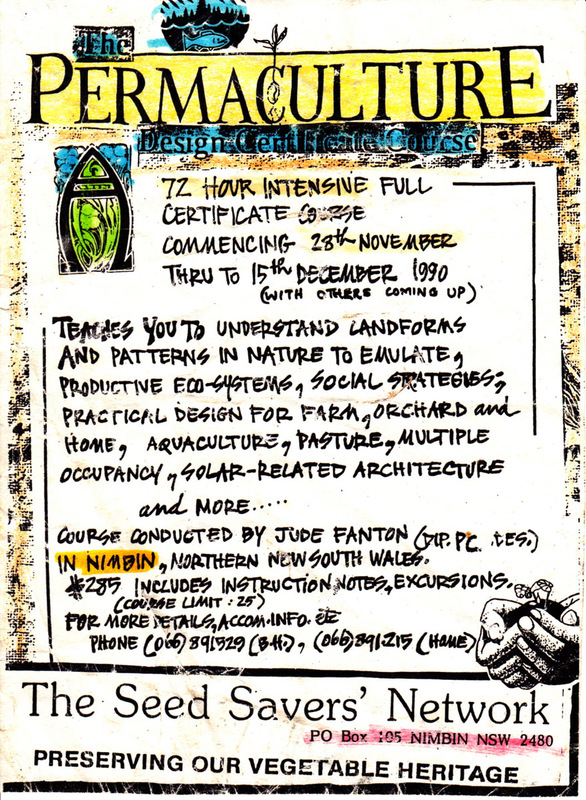 Feeling the need to formalise their Permaculture skills and experiences, Jude and Michel took Permaculture Design Certificate courses in 1987. 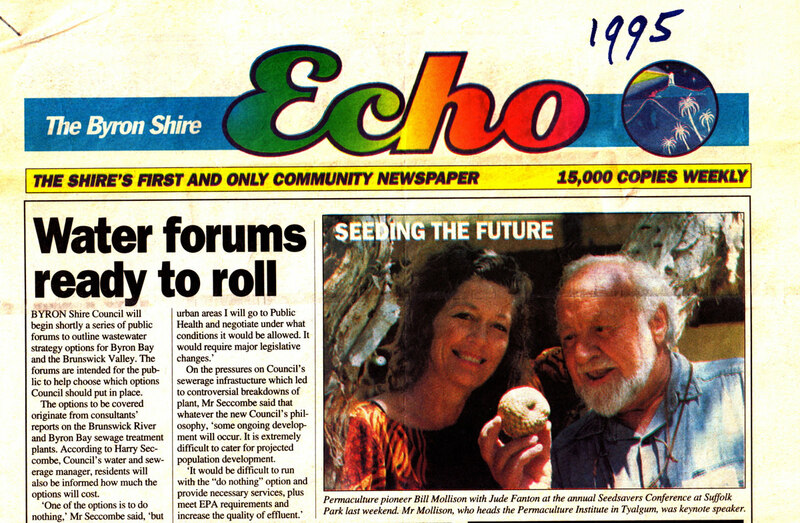 Jude took hers with Lea Harrison near Tyalgum and concomitantly Michel his with Bill Mollison in Taree. Generous as always, Bill offered Michel’s course for free and paid him to teach on it. 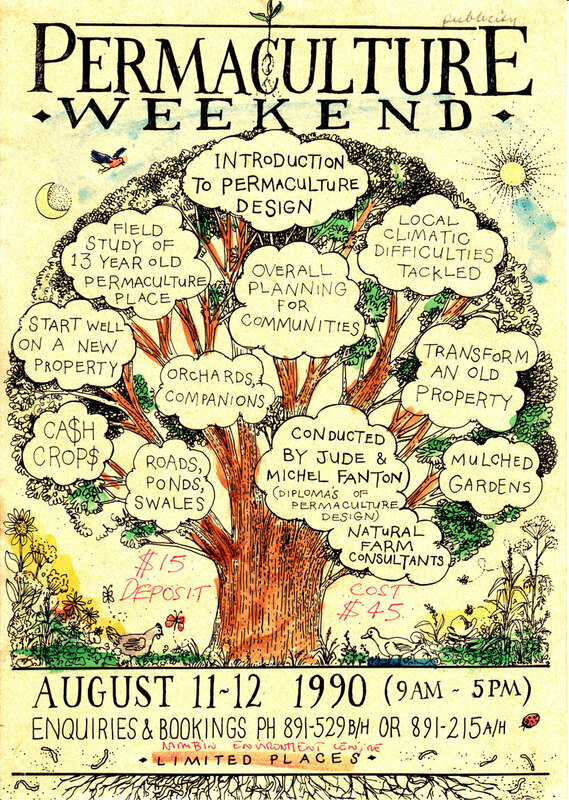 Following in Bill’s footsteps Michel and Jude Fanton taught eighteen Permaculture Design Courses in nine countries always including a strong biodiversity and seed production component. 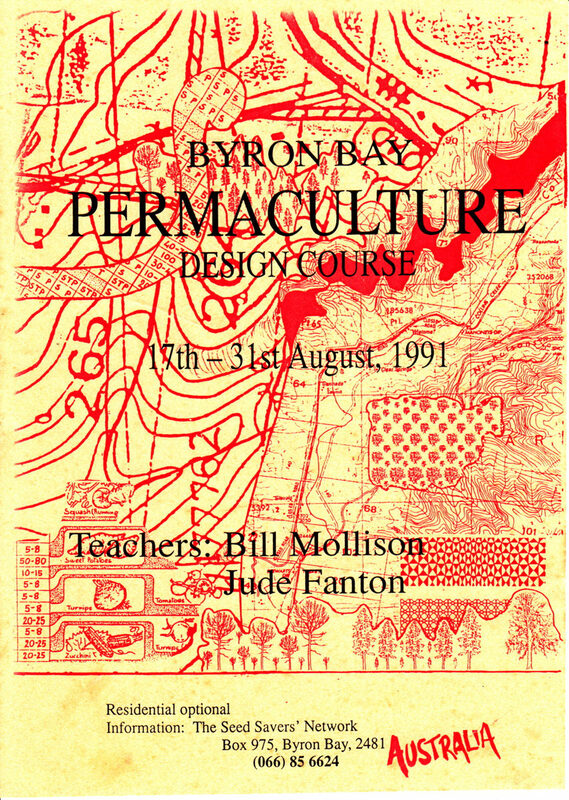 They started teaching Introduction to Permaculture Workshops in 1988 and taught their first Permaculture Design Courses in Nimbin in 1989. 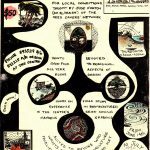 See posters for some of these events below. 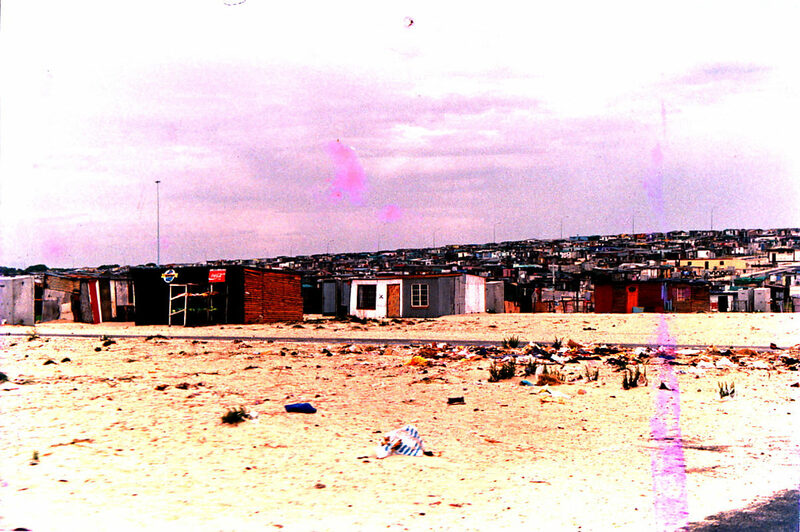 Site of practical exercise, Khayelitsha, where 500,000 black South Africans lived (now over 1m). 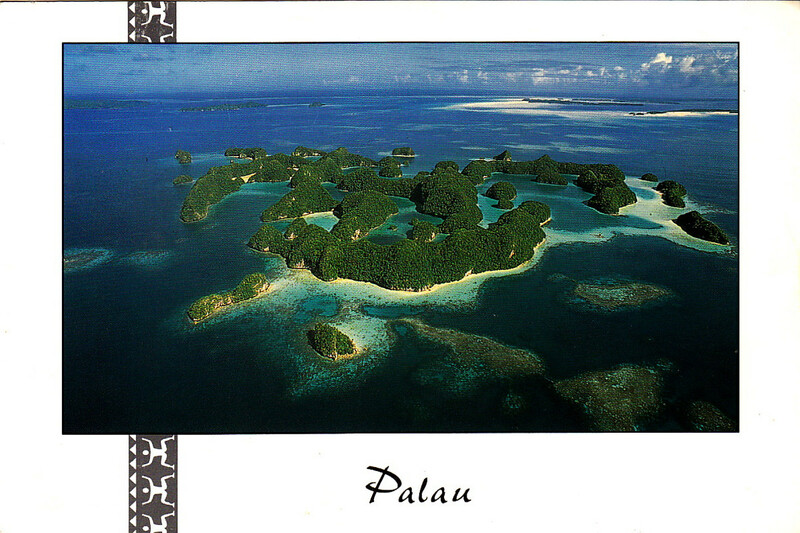 Palau looks idyllic from the air, but has the usual Pacific problems of obesity, deforestation and litter. 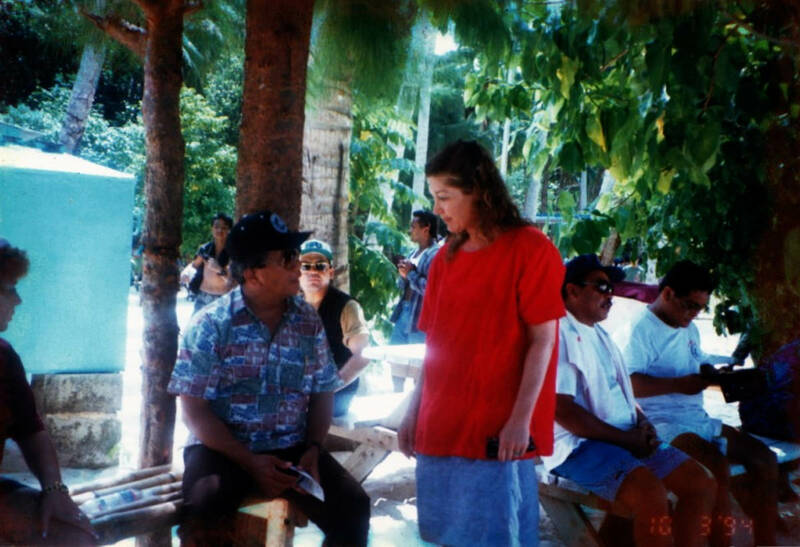 Here Jude describes Permaculture to the President of the newly independent country. 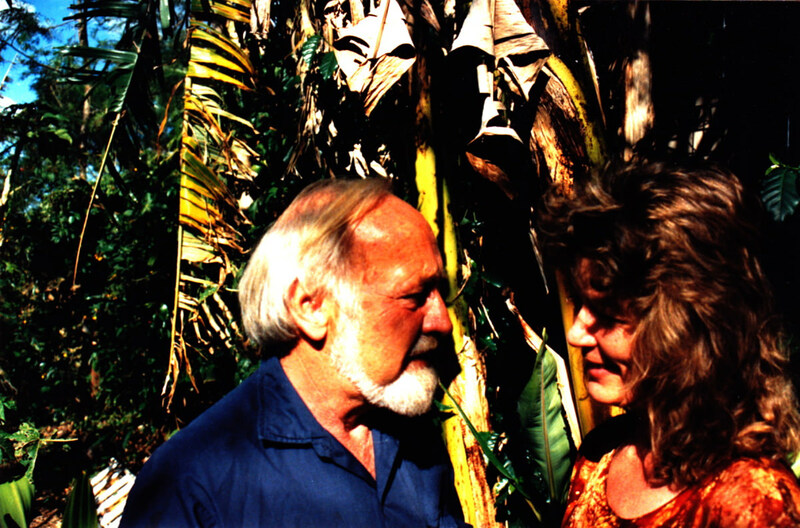 Bill Mollison encouraged the Fantons to establish The Seed Savers’ Network. Fancying they would create a local seed exchange, the Fantons were taken aback when Bill said, “Go national”. Later as the Fantons considered a legal structure, Bill advised a pair of Trusts and, acting as settlor, he put a few banknotes in between two slices of bread in an onion bag, saying “at least you can eat the bread”. 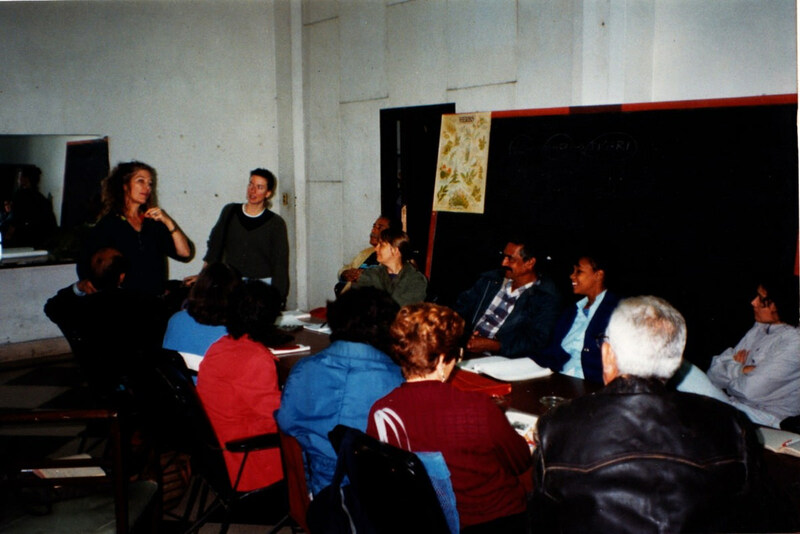 During the 1990s Bill gave the keynote addresses at Seed Savers Annual Conferences whenever in-country, always challenging sacred cows and conventional paradigms. He has the knack of gathering fascinating people around him. 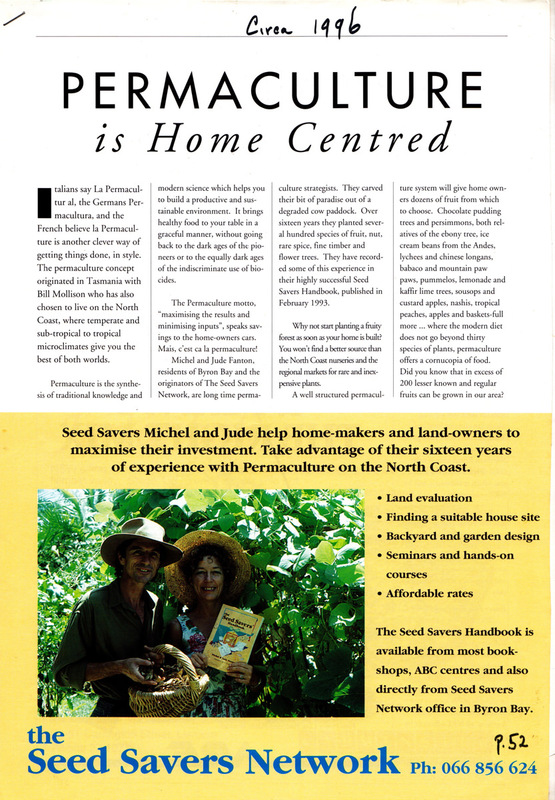 The Fantons spread the Permaculture seed message far and wide – to the tune of close to one thousand appearances and articles – at conferences, regular regional radio shows, newspapers and magazines, producing over 600 articles. 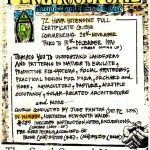 They wrote a regular page for the Permaculture International Journal from 1995 to 2000. 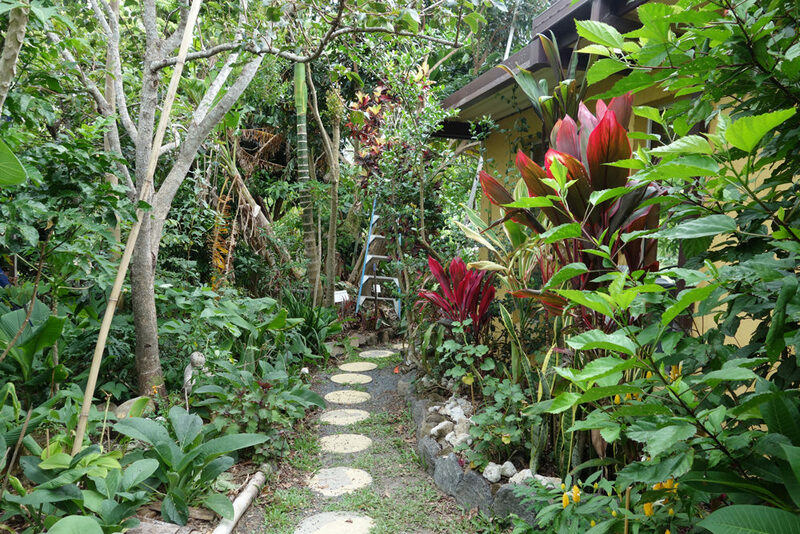 Their gardens in Byron Bay have been photographed and filmed as a thriving example of Permaculture. 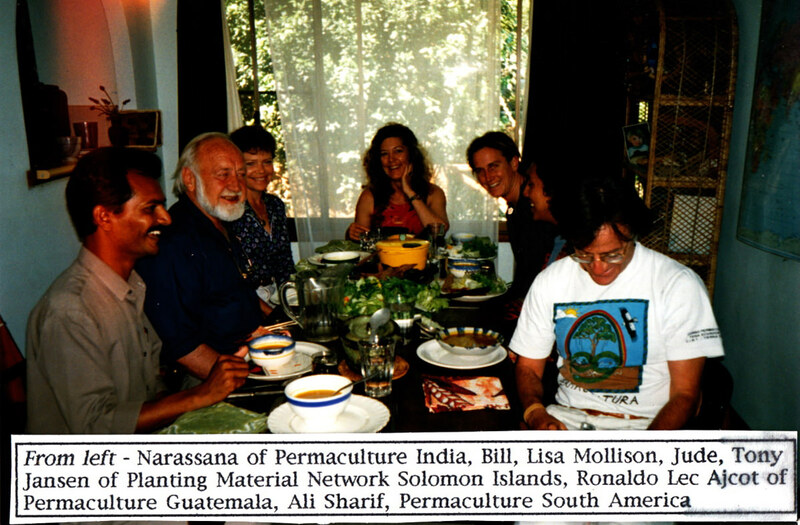 Bill Mollison at the Fantons with some of his international Permaculture teachers after the International Permaculture Convergence in Perth, 1996. 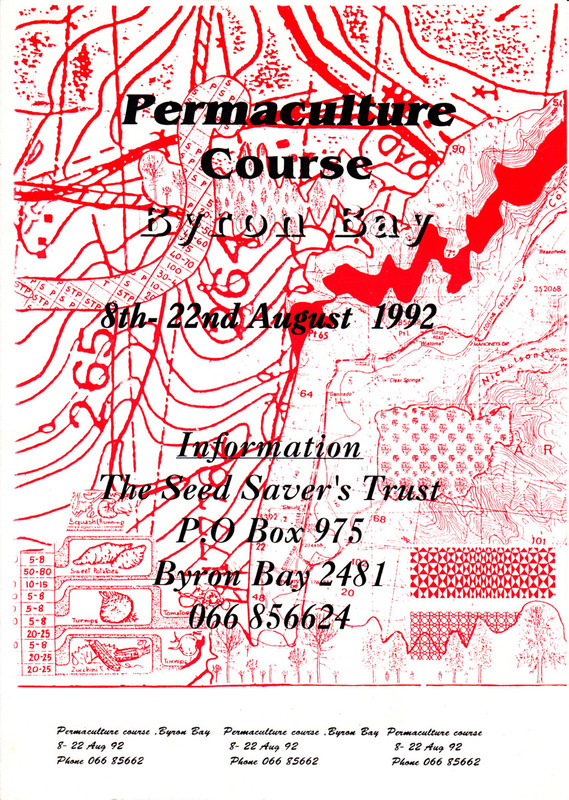 Notice of Seed Saving Conference in 1995. 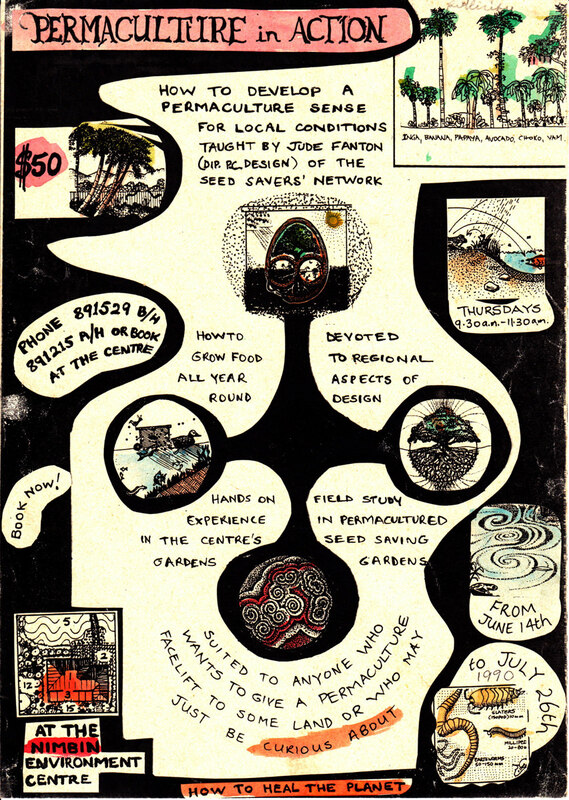 Thank you and long live Bill Mollison! 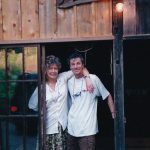 We continue to draw inspiration from our training, study and experience of Permaculture and feel privileged to continue to see Bill and Lisa Mollison at their home in Tasmania. 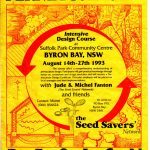 We are available to teach Permaculture courses and Seed Saving Courses. 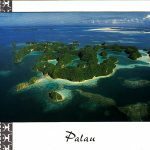 Please enquire wherever you are in the world. 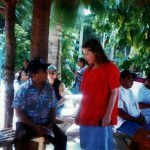 We tailor-make our courses to your culture and include indigenous and local know-how.